Once in the account, click on the Export button. You will then be taken to the Create Export screen and prompted to enter the time period you would like transaction data. All csv.’s created will be saved in the system, so if you create a monthly export, they will always be available at any point in the future. You will be prompted to select the Month and Day, and then the Hour and then the Time for both the beginning and the end of the time period. 5. 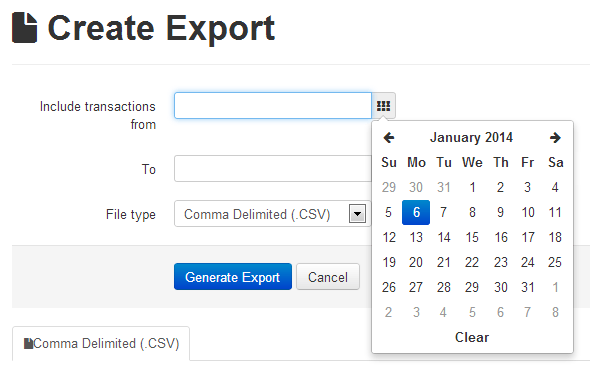 Once specified, click on the “Generate Export” button. 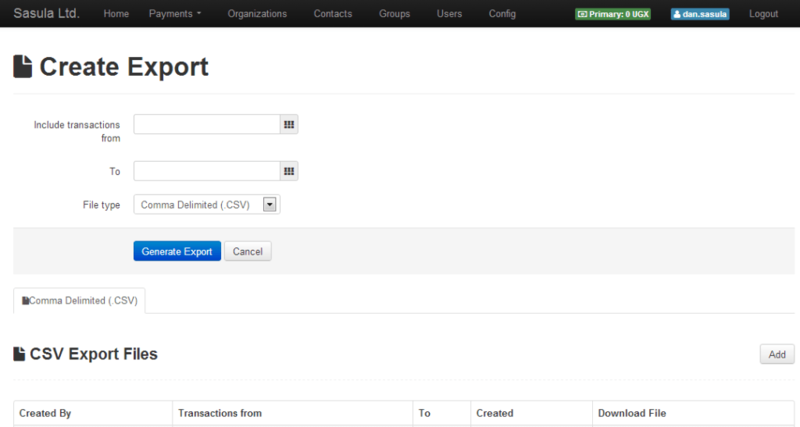 The specified report will appear in the CSV Export table and will be available to download.